does not start doing those things once born. On Tuesday, Feb. 16, 2016, Anne Lise (Lis) Schofield died from complications of dementia. Miles Schofield, her husband and father of John Schofield, died November 11, 2014. Lis leaves her sister Grethe, her son John, John's wife Marlyse, and their two children Heather and James. Let's talk for a minute about why each one of those lines is a good idea. I recently found a great feature of Sublime Text 3. Let's say you have tabular data, and you need to make the same edit to each line. This happens to me quite often. I love the fact that in iTerm 2, double-clicking a GUID or an IP address selects it. However, it's been really irritating that in Sublime Text 3, that doesn't happen. Double-clicking the "192" in "192.168.1.1" selects only the "192." I've been going through each blog entry on the site as I transition this site from WordPress to Pelican and it occurred to me I don't have an entry announcing my position with Cisco. On my way back during my road trip from Los Angeles to Colorado I saw a pillar of smoke in the distance. 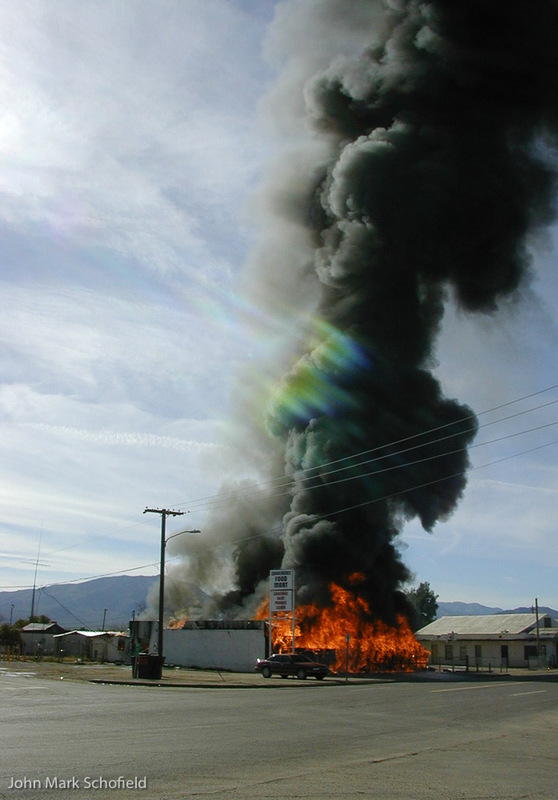 Driving towards it I saw a building fully-engulfed in flames in this small town, with hardly anyone around it. Powered by Pelican. This site uses a modified version of the Gum theme, which is based on the Gumby Framework. All contents of this site (unless otherwise stated) are Copyright (c) 1995-2018 John Mark Schofield. All rights reserved.